Hau Giang is the province with its fertile land is the land potential for ecotourism, hick. It is also famous for many delicacies typical wetland. 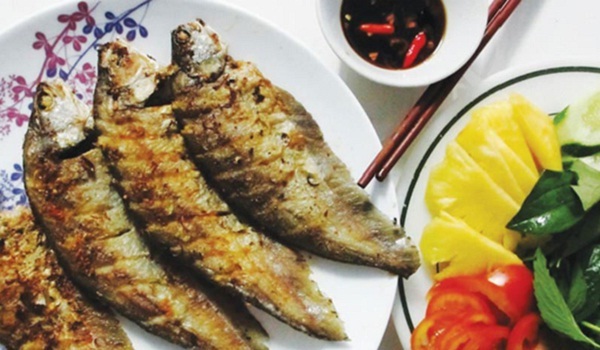 In addition, cross- grilled fish dishes also capture the sweet spread where the tongue with spicy sensation and taste of lemongrass, chili. Being very dodgy fish, omnivorous and live in areas where deep water, even 2-3 m cave dwellers. So fishermen must meticulously to catch fish off and their taste is worth to try once. Fish off can be processed into many dishes like grilled bananas , steamed , sour soup , braised or dry dishes served with scallion … However , the simplest is to Roll bananas seeds , grilled over charcoal pink to retain flavor. 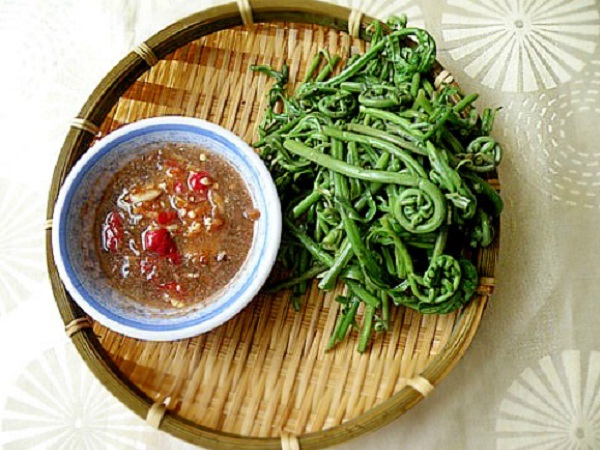 When you eat, you can incorporate all kinds of wild vegetables, put salt. 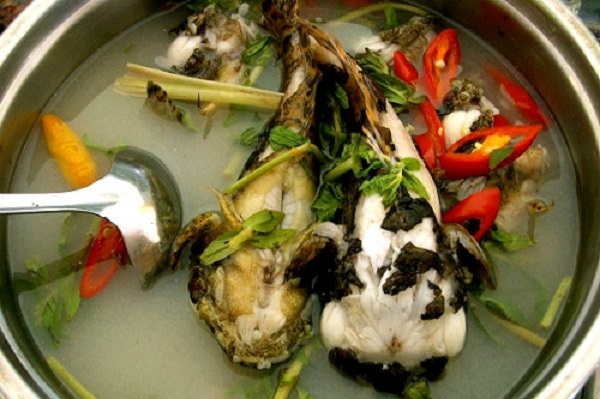 Braised dishes often fish off the meal of the West River people. The fish were cleaned, marinated with delicious sauce, a little sugar, pepper, chilli and olive Riu fire up stoves. Currently, fish is the specialty floral in bars, restaurants, priced from 70,000 to 120,000 VND per kg. Vegetable sprout grower fabric is chlorosis eat anywhere, picking new people, so long will lose sweetness. The dust sprout grower with long hose, leaf curl, barely fresh tasty unwind. The price of 10,000 dong a small bundle.